World Inflammatory Bowel Disease (IBD) Day takes place every year on 19 May. Led by patient organisations in 36 countries, the event aims to raise awareness about the disease and its symptoms. IBD is an umbrella term used to describe chronic conditions Crohn’s Disease and Ulcerative Colitis. It is a relapsing and remitting condition characterised by intermittent ‘flares’ where symptoms may include frequent diarrhoea, urgency, abdominal pain and rectal bleeding. In advance of the event Staysure spoke to IBD nurse specialist Kay Greveson about travelling with the disease. 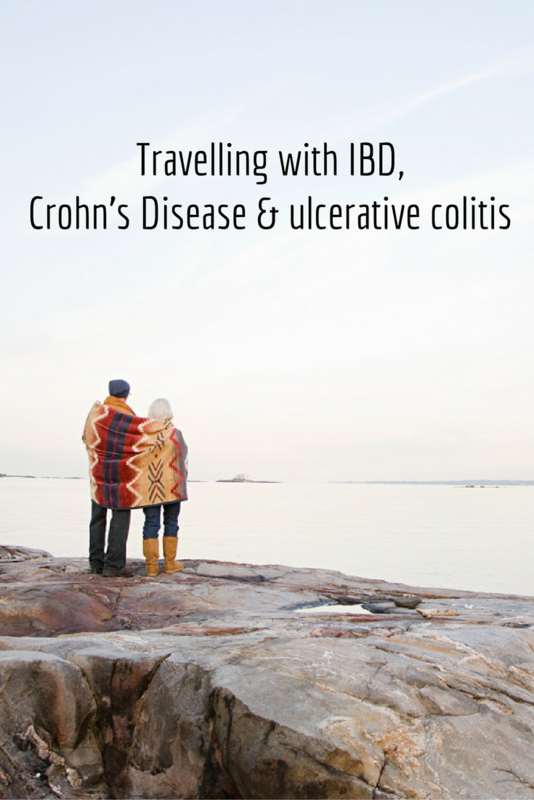 Are there any risks associated with travelling with IBD? IBD and foreign travel is associated with an increased risk of travel-related illness caused through exacerbations of IBD, acquisition of infectious diseases endemic to the destination and availability of healthcare and medicines whilst abroad. Patients receiving immunosuppressive medication such as corticosteroids, azathioprine or biologic medications have an increased susceptibility to these infections in addition to an attenuated immune response to vaccinations. Having Crohn’s Disease or Ulcerative Colitis should not restrict travel but advanced planning is advised to ensure a trouble-free trip. Planning is essential. This should ideally involve detailed pre-travel consultations with a travel health specialist and IBD professional at least 8 weeks prior to travel. This advanced planning ensures any vaccinations required for the travel destination are given and travellers are armed with the appropriate education and resources to stay healthy during their journey. Are there any precautions that someone with IBD should take before a holiday? Prior to travel it is important to obtain a letter from your specialist outlining your medical history in case of illness abroad and also take a copy of your prescription to help with any customs issues. Do you need any vaccinations before your trip? You may need these up to eight weeks before you travel so plan ahead and visit a travel clinic. You may also be taking medication that prevents you from having some vaccinations, such as immunosuppressant medications. Carrying a kit in your luggage that contains essentials that you may need during your trip will help remove anxiety about traveling away from home and enable you to be more prepared in the event of a bowel accident. It is a good idea to pack this in your hand luggage. Suggested things for the ”emergency travel kit’ can be found on the IBD Passport website. Are there any countries that someone with IBD should avoid travelling to? Research has found that generally IBD patients travelling to developing countries are no more at risk of developing enteric infections than anyone else, although many individuals travelling with Crohn’s Disease or Ulcerative Colitis may avoid these destinations for this reason. Consider your travel destination – a backpacking trip around Burma will carry different risks and need more preparation than going to America. Take into consideration your current health and the facilities available in the country you are visiting. What tips can you offer for someone travelling with medication? Individuals with Crohn’s Disease or Ulcerative Colitis may have to carry a variety of medications including tablets and, in some cases, injectable medications. Carry copies of your prescription and letters from your GP explaining the medication and why it’s needed. Take an emergency kit which includes over-the-counter medicines, such as antidiarrhoeals, antispasmodics, rehydration sachets and pain killers. Are there any activities that people with IBD should avoid? As a general rule an individual with IBD should be able to undertake the same activities as someone without any medical conditions. Individuals who have had surgery to remove part of their bowel and now have a stoma may feel they are restricted form certain activities and may feel nervous about travelling for the first time following surgery. If they seek the correct advice and support from the specialist stoma nurses and obtain the correct appliances, there is no reason why they cannot undertake the same activities as they did prior to surgery. In general, does IBD restrict people enjoying their holidays? The nature of IBD means that people may have symptoms such as frequent and urgent diarrhoea. This can obviously have an impact on quality of life and can affect normal activities. Symptoms are very much dependant on disease activity. When IBD is in remission then symptoms generally have much less impact on daily life and pose less restriction. Kay has developed a website, www.ibdpassport.com, dedicated to providing support for individuals with IBD who wish to travel.